Welcome to Brooklyn North Software Works! The award winning HTML editor continues to be a favorite among Web developers. HTML Assistant Pro 2000 is the perfect tool for the beginner or the expert. Pro 2000 was designed by a teacher to make HTML page design easy. Once you've mastered the page design basics you'll appreciate the tools flexibility with the ability to add your own code and tags - keeping this tool forever current. HTML Assistant Pro 2000 includes a step-by-step tutorial that shows how to build a simple Web page in only a few minutes. HTML Assistant Pro 2000 runs with Windows Vista, Windows XP, Windows 2000, Windows ME, Windows 98SE, Windows 98, and Windows 95. Web development not your thing? Then outsource your Web site development to the BNSW Webshop. You select your new Web site from dozens of our Website Templates and our Web Technicians take care of the rest. 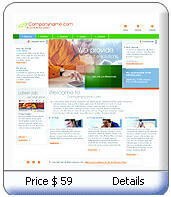 We'll create your entire site for only $495 USD. 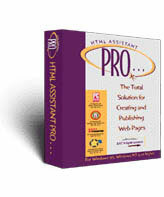 At the completion of the project you'll receive a FREE copy of HTML Assistant Pro 2000 to maintain your Web site. � EXIT 0 digital systems Inc. All Rights Reserved.